Easton premium fast pitch glove is the new Stealth Pro, with a wide and deep pocket ideal for softball. The Stealth Pro is constructed from the finest materials, including hand-oiled primasoft sheepskin lining, cushioned pinky and thumb loops, rolled leather welting and usa-tanned professional rawhide lace with a tensile strength of 100 pounds. Premium hero kip leather is tanned for easy break-in and high durability for the demands of the game's best players. 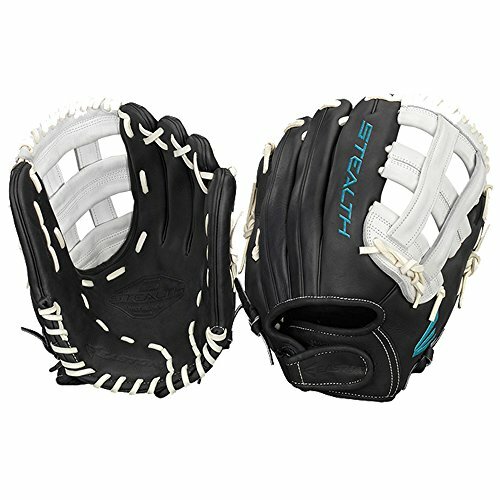 The 1200Bkwh 8054710 has a 12 inch infield/pitcher pattern and grip T-Web design that's ideal for pitchers, third base, shortstop and second base. Easton Stealth Pro gloves give you the difference you can feel. Easton mako legacy gloves have been redesigned, re-crafted and re-shaped to give you the difference you can feel. You'll notice that difference the first time you feel Easton hero kip leather, which has a rare combination of durability and softness. The result is a glove that feels customized and broken in the first time you put it on, yet is built to last. 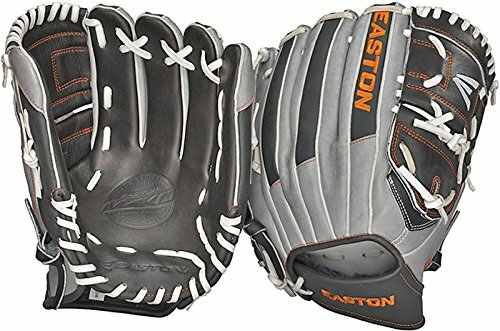 Easton Elite craftsmanship is on full display with the mako legacy, including hand-oiled primasoft sheepskin lining, cushioned pinky and thumb loops, rolled leather welting and usa-tanned professional rawhide lace with a tensile strength of 100 pounds. 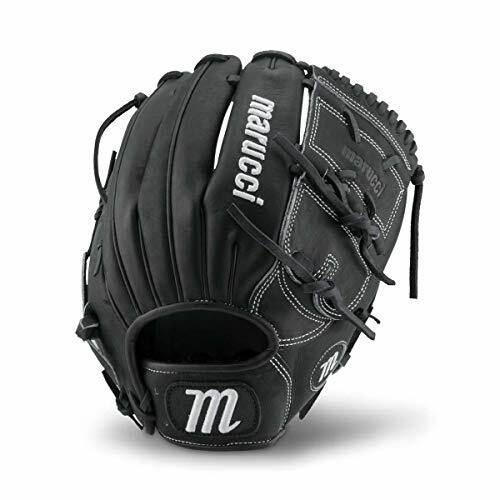 The 1200Dbg 8054648 is ideal for pitchers and third basemen, with its 12 inch size and traditional woven web pattern. Every inch of this glove is individually inspected to ensure premium fit and performance. 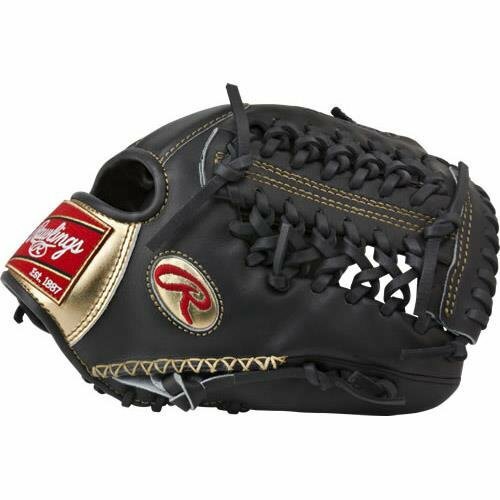 Made with flawless European kip leather and manufactured by the top glove craftsmen in the world, the Rawlings Gold Glove Series Baseball Glove offers unparalleled playability and feel, inspiring a new generation of defensive excellence. 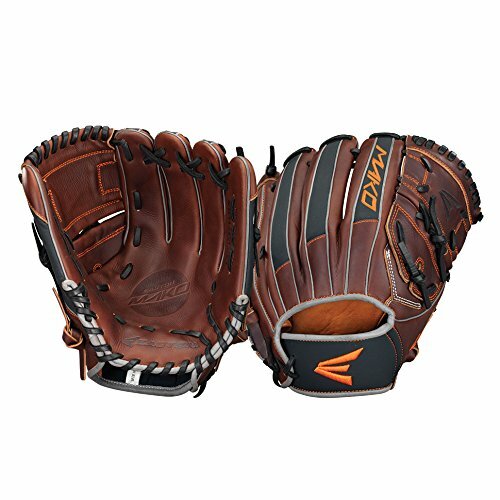 This adult baseball glove features 100 percent wool padding that aids in pocket formation and shape retention and ultra-premium calfskin palm lining that wicks away moisture to keep your hand dry. A padded thumb sleeve offers added comfort in the field, while Tennessee Tanning rawhide leather laces increase the glove's durability and strength. 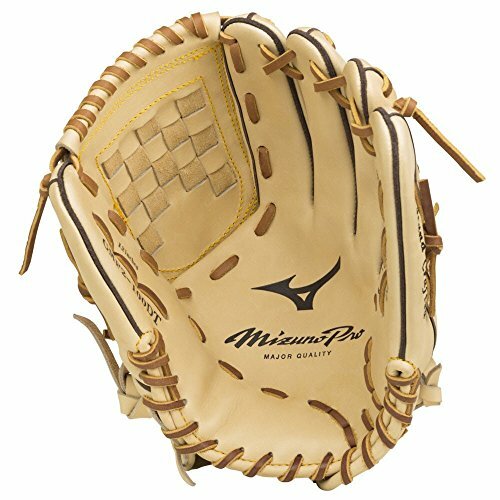 This adult baseball glove has a 2-piece solid web, making it ideal for second and third basemen, shortstops, and pitchers. Each Rawlings Gold Glove Series Baseball Glove is meticulously cut, assembled, and sewn from start to finish by a single craftsman. It carries an individual serial number signifying the maker, date created, and the glove's production number. 12” pattern, Modified trap web, open back medium pocket. 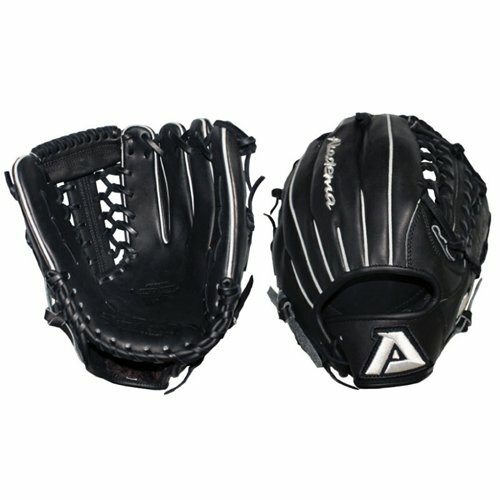 The latest glove series by Akadema uses Precision Kip leather that is 20% lighter and tighter grained than steerhide . The Hides are harvested in Europe and tanned in Japan. The gloves are more pliable, easier to break in and have more tensile strength than our competitors glove lines. The Mizuno Pro Series features the highest quality leather and raw materials available in the world. Designed by our finest master Craftsman, who eat, sleep, and breathe glove design and have dedicated their lives to the pursuit of the perfect pattern. Utilizing the glove scans of hundreds of professional players, each Mizuno Pro 312495 is created with a perfect, already-formed pocket based players' needs and preferences at each position. Made with us kip leather tanned in Japan to give you a soft, yet firm feel that will form just the way you like it and hold up to the speed of the game so that you can perform at your highest level. The all-new Mako limited edition was built to perform from the inside out. With a focus on fast hands and incredible feel, each glove was constructed with a combination of premium kip leather and Syntec hide. This gives players a softer, more premium feeling glove, while allowing them to be more quick and Nimble. The internal details weren't forgotten either. 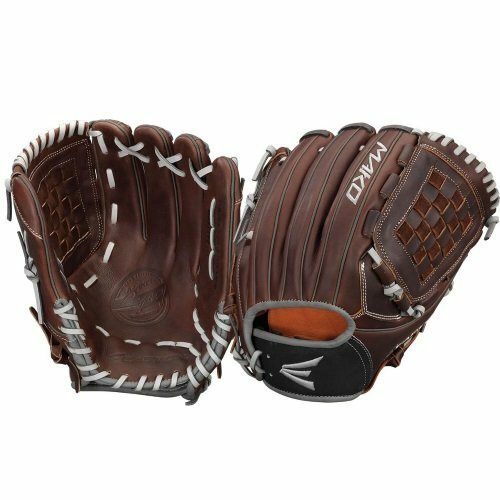 With a focus on ergonomics and the way a player's hand naturally moves to close a glove, premium details to the internal construction like padded pinky and thumb loops, a molded back-of-hand pad and hand-oiled sheepskin internal lining, were added. With the Mako limited edition, players will have maximum comfort and support in the areas their hand needs it most during high speed moments. 12" pattern, double web open back, deep pocket, black pitchers sleeve, Kip leather palm and mesh back. Right or Left throw. 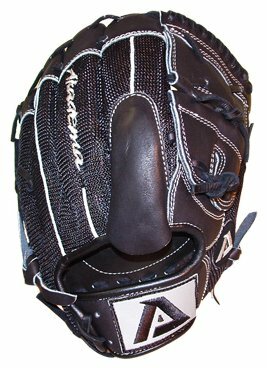 Akadema continues its tradition of glove excellence with the new Platinum Glove Series. Combining a new mesh back with a Kip Leather pocket and web, these gloves enhance style without sacrificing performance. The mesh back provides a lighter feel and allows for an easier break-in. Kip Leather at the tips of the fingerstalls offers increased durability. Hyper lite technology built to lower centrifugal force and increase hand speed. Syntel Hide offers breathable microfiber less then half the weight of leather. Japanese Premium Kip leather with pro break-in quality. Constructed with USA Tanned Rawhide Pro grade lace with a tensile strength of 100 LB's for maximum durability. Soft yet durable Pro Fit Liner.